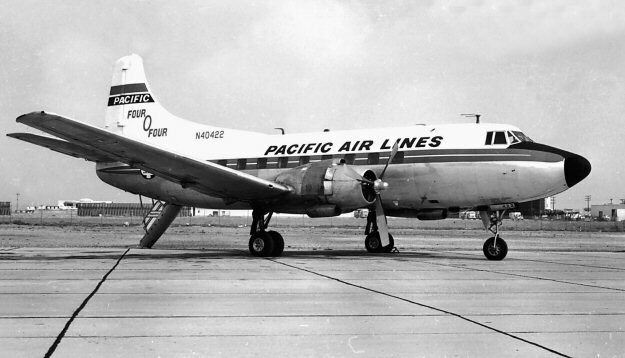 AM-76: AM-76 was awarded to Southwest Airways. 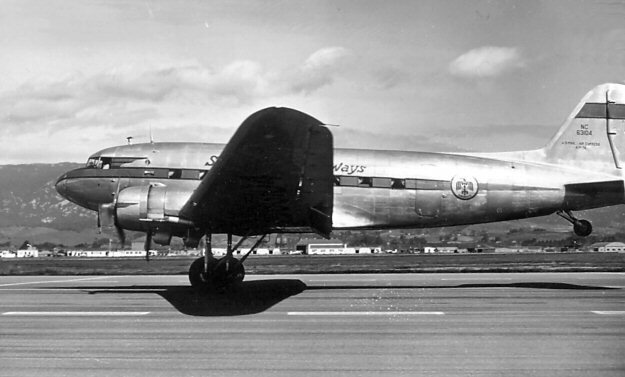 In 1941 John Howard Connelly (former test pilot) and Hollywood agent/producer, Leland Hayward under the name Southwest Airways founded the Thunderbird I, Thunderbird II and Falcon cadet flying schools in Arizona, as well as a maintenance depot for overhauling training aircraft and a wartime air cargo line. 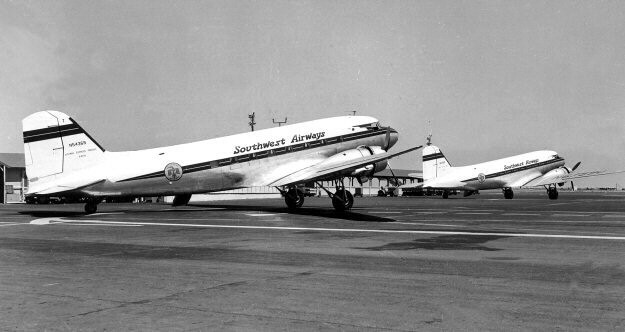 By the end of WW-II Southwest Airways was the largest training contractor in the US training more than 17,000 pilots. 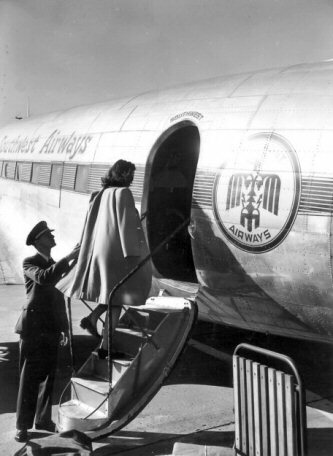 After the war Southwest began scheduled airline services and was awarded a three-year experimental charter from the Civil Aeronautics Board on May 22, 1946 for a feeder airline service. 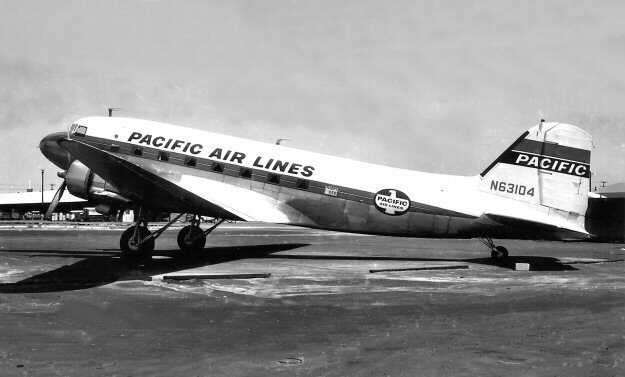 AM-76 was awarded to Southwest and on December 2, 1946 it began flight service between Los Angeles and San Francisco CA. 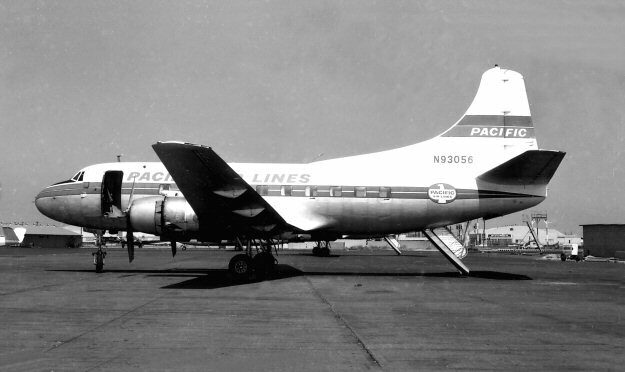 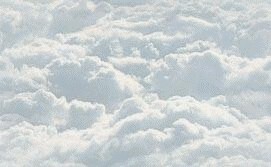 On March 6, 1958 Southwest Airways changed its name to Pacific Air Lines. 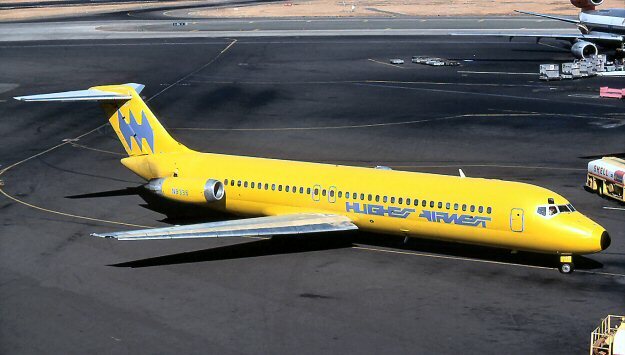 On April 17, 1968 West Coast Airlines (AM-77) and Bonanza Air Lines (AM-105) merged to become Hughes Air West.